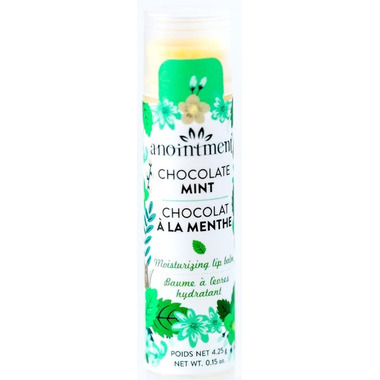 Anointment Lip Balm Chocolate Mint is a luxuriously rich lip moisturizer made with pure cocoa butter and peppermint essential oil. Tastes like your favourite mint chocolate ice cream! Chocolate and mint-what could be better? I love how such simple ingredients can create something that works so well without all the chemicals. One of my top three lip balms. Greasy, gets all chunky and falls apart, and has that addictive effect where my lips get super dry after 30 mins of using it. Not a fan. 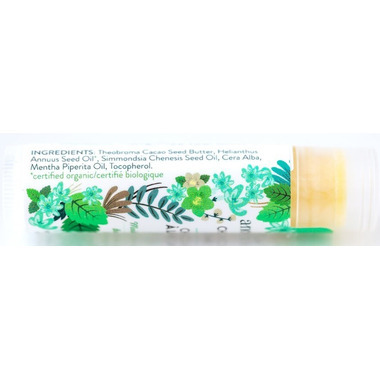 Most lip balms have beeswax in them, which I find dries my lips, so I was looking for an alternative. This product fits the bill--no beeswax--and it's very moisturizing. Makes my lips very soft. I love the hint of chocolate combined with the peppermint. I'm so happy I found this, as it will see me through the rest of a harsh Canadian winter.